Inspiring Ideas with artist Jeanne Winters: Cute Kids' DVD Set Giveaway!! 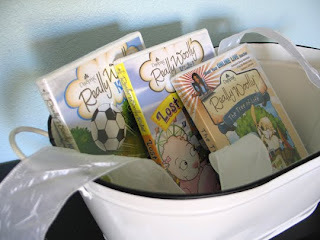 Cute Kids' DVD Set Giveaway!! They are really so sweetly designed and have really wonderful teaching messages. They are a takeoff of the really super popular Really Woolly characters from DaySpring cards and gift products. I really adore the artist's work and the characters really are as cute in these movies as they are in the cards. My kids really liked the videos and I was really thrilled with the positive story line. So ... a really big "thank you" to DaySpring from me ... and from one lucky blog reader who will really win all three movies!! Contest is open until midnight MT, June 30th. Winners must have a US address I can ship to. Leave your email or a way to contact you if you win! DISCLAIMER: I received the movies as a gift from DaySpring and I'm sharing with you. They did not pay me nor ask me to plug them in any way. If you link to their store I am an affiliate. Aw...how cute! I'll bet my little son would love these. My niece would totally adore these. great gift! thanks for sharing. I have 2 little ones and they would LOVE this movies! I know my kids would love these movies! These look really cute. My daughter would enjoy them. So sweet! We don't know these videos, but we'd like to :) Thanks for the opportunity! I'd love to add these to my library! My triplets would love watching these movies. I'm always on the lookout for movies with a good story line. Even though I have no kiddos of my own yet, I'm always looking for great kid-friendly DVDs. It is so hard to find movies that are a reasonable price, and that I will buy (sorry, no Sponge Bob or Barney for me! ), is rather hard.